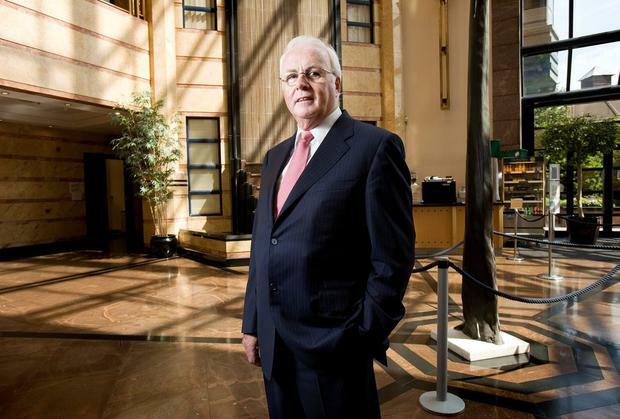 Closing down NAMA early won't recoup the best return for taxpayers, chairman Frank Daly has warned. Finance Minister Michael Noonan has asked NAMA to weigh up the pros and cons of an accelerated sale that would see the agency shut earlier that the original 2020 deadline. Possibilities could even include a quick sale over a six-month period, or a sale in separate tranches over a more extended set timeframe, Mr Noonan has said. "Whether it would destabilse the market, I'm not sure," Mr Daly told the 'Today with Sean O'Rourke' programme on RTE Radio One yesterday. "Whether we would get the best price for it, I doubt it. Right from the beginning we've had people knocking on our door offering us derisory prices for our assets. "I think they are much more realistic now. Partly because we convinced them that we didn't actually have to sell in a hurry." But Mr Daly said he believed the bad bank would make a profit. Under the NAMA Act, a review must be carried out this year into NAMA's operations. NAMA was originally meant to have sold off all property by the end of the decade. The NAMA review will examine how much progress has been made towards its objective of recovering as much money as possible for the taxpayers from the loans it has acquired. Mr Noonan has said no decisions have yet been made on whether to accelerate the speed of the sale. Mr Daly also said NAMA is committed to providing 4,500 houses in Dublin by 2016, funding debtors to build the homes with the aim of developing the bulk of those this year and next. He said it also has control over land or sites that could potentially deliver another 20,000 houses. "We think they have the potential to deliver 20,000 houses," he said. Mr Daly said success for NAMA was three-fold, including repaying its senior and subordinated debt. He said both of these will be achieved. "I think there's every prospect now that NAMA will make a profit and will clear that bar as well," he said.